One of the main reasons to refinance your home loan is to secure a lower interest rate and reduce your monthly repayments. Whilst your current lender’s rate may have been best at the time, they may not be staying competitive with others in the market now. At EasyPlan Financial Services we helped one New South Wales client refinance their home loan and saved them $7,096 per annum for five years. That’s a total saving of $35,480 over five years* – the cost of a brand new car, an overseas holiday or a deposit towards an investment property. Put simply, equity is the difference between the value of your home and how much you owe the bank. For example, if your home is worth $450,000 and you owe $250,000, you have $200,000 in equity. You can use a portion of this equity as security with the bank and borrow money against it. Perhaps you’re considering the purchase of an investment property, or maybe you’d like to renovate your home, buy a new car, help the kids with educational costs or go on an overseas holiday. 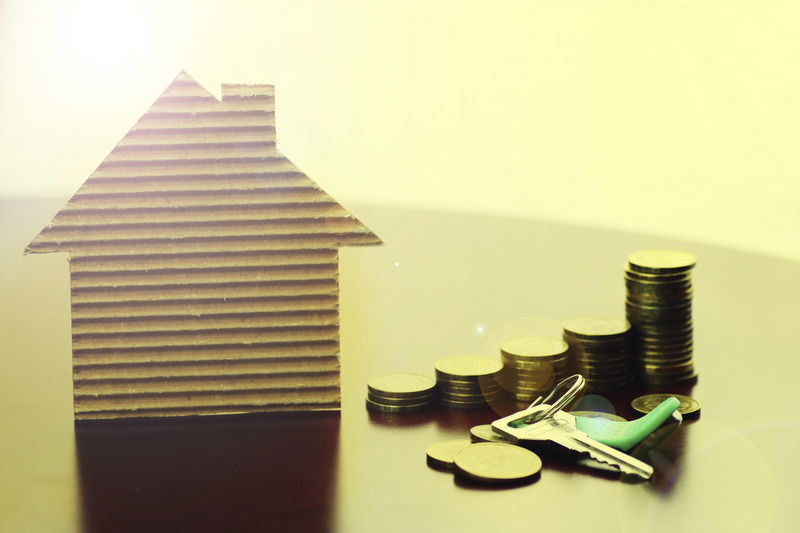 By harnessing the equity in your home you have the opportunity to build additional wealth, achieve a personal goal or help a family member in need. Are you struggling to pay ever increasing credit card bills? It may be a good time to consider debt consolidation, i.e. the processing of combining several debts into one loan with a lower interest rate, lower monthly payment or both. 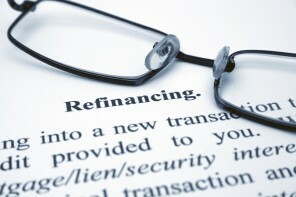 Refinancing your home loan can provide you with the opportunity to do this. Please note, to make the most of debt consolidation, you should reduce expenditure where you can and commit to making additional repayments to pay off the enlarged loan as soon as possible. It’s not just cost savings that you could benefit from. Refinancing could allow you to take advantage of additional home loan features such as flexible rate options, an offset account, a redraw facility and more. Talk to your mortgage broker about your current circumstances, and anticipated future needs, you might be missing out on some great home loan features simply because you didn’t know about them. If you would like to compare your home loan to other lenders, and see how much you could save by refinancing, contact us today for you FREE comparison. If you have more debt than you can keep track of, then refinancing may be the right option for you, as it provides an opportunity to combine your home loan with other debts you may have, such as a credit card or a personal loan. By doing so, you may be able to pay off all your debts at once, move to a better priced home loan, and potentially reduce your monthly repayments. The best home loan for you when you first bought your home may not be the best home loan for you today. You may want the security of a fixed rate home loan, or the lower interest rate of a variable rate home loan. Maybe you’d like to explore the possibility of a redraw facility, an offset account or the convenience of loan portability. Your home loan should be working for you, not the other way around! Switching to a lower interest rate can reduce your monthly loan repayments, and the time it takes to pay off your loan. However, there can be unexpected costs, such as Lender’s Mortgage Insurance and stamp duty, so make sure to weigh up the expense against the potential savings to make sure it’s worth it. If you’re interested in refinancing your home loan, head over to our website here to fill out a refinance enquiry and one of our EasyPlan Home Loan Specialists will find the perfect loan to suit your needs, saving you the hassle of trying to sort through hundreds of loan options by yourself. Purchasing property is an attractive investment option for many Australians – unlike the stock market, real estate is familiar and relatively stable. Building a successful property investment portfolio means different things to different investors; some wish to develop a nest egg for retirement, some like to create a better financial future for their families. Whatever the reason, property is a sound investment. 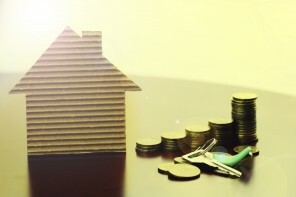 While investing in property may be a good strategy for building wealth, many people believe that due to already having a mortgage, they are unable to begin building their own property portfolio. However, refinancing your home loan can give you the opportunity to begin an investment journey sooner than you think. Refinancing your home loan can allow you to draw upon your home equity, which is the difference between what you owe on your mortgage and the value of your home. If you’ve been making repayments for a few years, you likely have a lot of home equity to draw from. This home equity can then be used as a deposit to purchase an investment property – your current property will act as security against the loan for your new investment property. If you have been making your repayments on time for a few years, and your mortgage repayment is principal and interest, then the balance of your mortgage will have decreased. Your property value may have also increased over the past few years as the market moves and there are more sales at a higher price than what you paid for your property originally. This creates a perfect storm for you to begin looking at how much your property has increased in value, and what options you have moving forward into the property market. Refinancing to purchase an investment property may be a good financial decision, however, it doesn’t come without risks – and is important to consider them before you commit to anything. For example, when you take out another loan against the equity in your current home, obviously your level of debt will increase. This means that you need to do the research and crunch the numbers to ensure that you’ll still be able to meet loan repayments. There may also be exit fees associated with refinancing your current home loan, as well as upfront fees for your new loan. If you’re interested in using refinancing as a stepping stone to property investment, and you would like to learn more, submit a refinancing enquiry here and one of our EasyPlan Home Loan Specialists will compare various different loan types available and tailor a loan that is best suited to your needs! 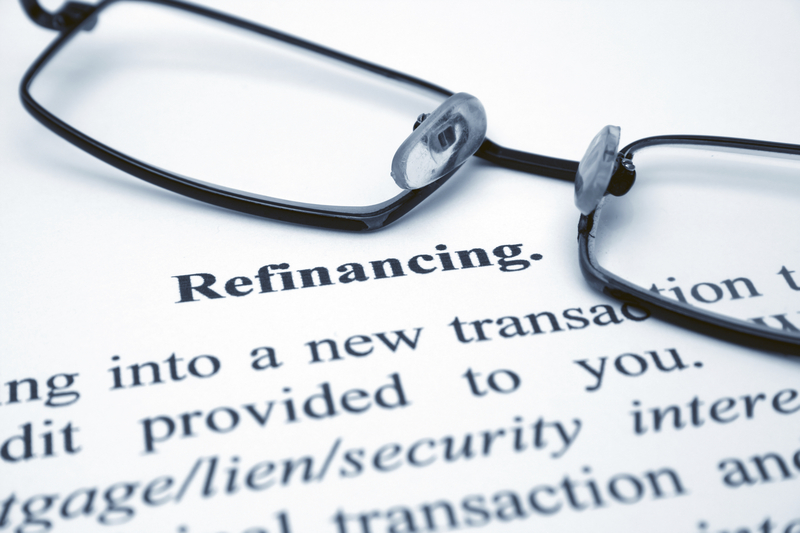 What is refinancing, and why should I do it? In the simplest terms, refinancing is paying off existing loan or loans and replacing it with a new one – that is, you are paying off the first loan/s by taking out another. The decision to refinance your home is a big one, as the thought of taking out a new loan before the old one has been paid is certainly daunting. 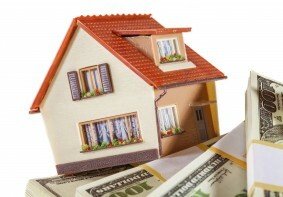 However, refinancing can bring substantial financial benefit if structured correctly! If you’ve got multiple debts from credit cards, personal loans and a mortgage, you’re likely also paying a lot of excess interest – which is why many people turn to refinancing in order to consolidate their debt. The process involves combining your high-interest debts into one that has a lower rate, such as your mortgage, in an attempt to reduce the cost of your repayments. However, it’s important to ensure that your new rate is considerably lower than the combined current interest rates of all your debts to avoid paying an even higher rate and causing a bigger problem. Many people turn to refinancing to access their home equity, which is the difference between the market value of your home and the remaining balance of your mortgage, to help them access extra cash. If you’ve been making repayments for a few years and your home has accumulated value, you most likely have a lot of home equity to draw from. Unlocking your home equity can allow you to achieve personal goals that may not have been in reach previously – such as investing in property, or funding renovations to improve your home’s value. One of the biggest reasons that people choose to refinance is to secure a better interest rate. By doing this, you can reduce your monthly home loan repayments, as well as the time it takes to pay off your loan. However, there can be unexpected costs associated with refinancing to get a lower interest rate, so it’s best to weigh up the expenses with the potential savings to make sure you aren’t losing out. If you’re interested in refinancing your mortgage, or if you’d like some more information, complete our Finance Health Check today!